This salad, with grapefruit and curds of soft goat cheese is my most recent use of lemony fennel. 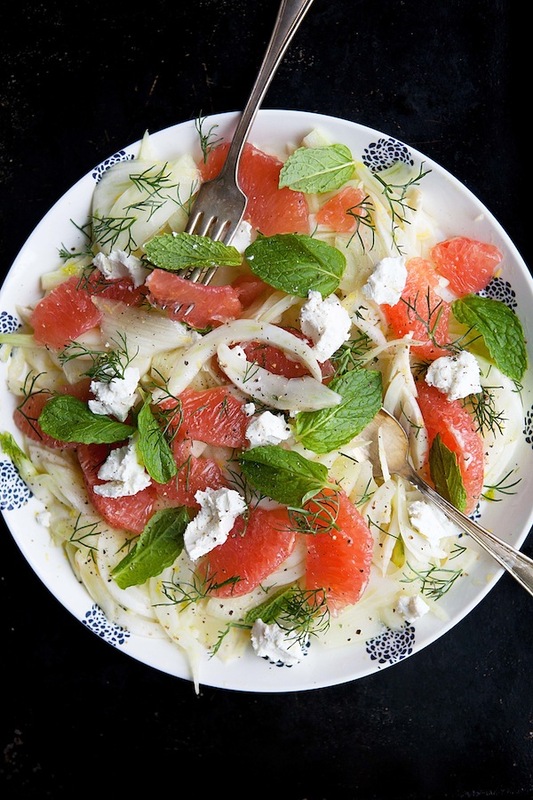 There is nothing new about combining fennel’s sweetness with the juicy bittersweet of grapefruit. I feel like I have seen it in many a restaurant in past years at this very time of year, the transition time where we start picking up spring while still trailing a few threads of winter along with us. (Once I even had it as a fennel grapefruit salad with pine nuts and chunks of salted brittle candy. That was pretty tasty.) But, look at the word “marinated” there. Marinated makes it different! And new! Ok, well actually not very. But as I already mentioned, the brief marinating period does make it extra delicious. Plus, the tart grapefruit is, somewhat incongruously, slightly softened by the even tarter lemon. And, grapefruit goes just as well with mint leaves as fennel does, if not better, so they make a tidy triad. The goat cheese plopped here and there may seem a bit incongruous, at least as a foil for the grapefruit. Or maybe it doesn’t. The creamy, pleasantly chalky crumbles of goat cheese are stunningly different enough in taste – that lovely, goat-y, barnyard-y taste – and in texture, that it somehow pulls everything together. Plus, it makes the salad a meal. Or, if you’re hungry for a bit more, makes it a balanced side for simply prepared seafood or roast chicken. 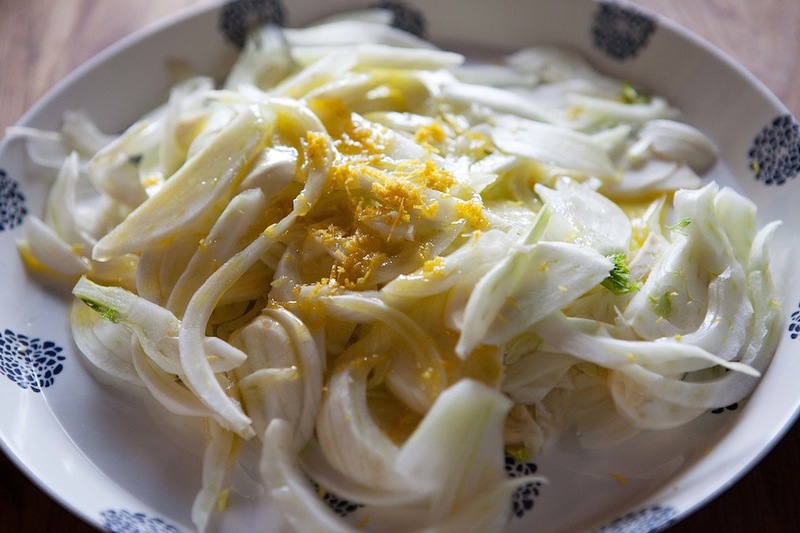 You know what they say, if live gives you lemons, marinate a thinly sliced fennel bulb with them. They say that, right? Remove the stems from the fennel bulb. Reserve 2 Tbs. 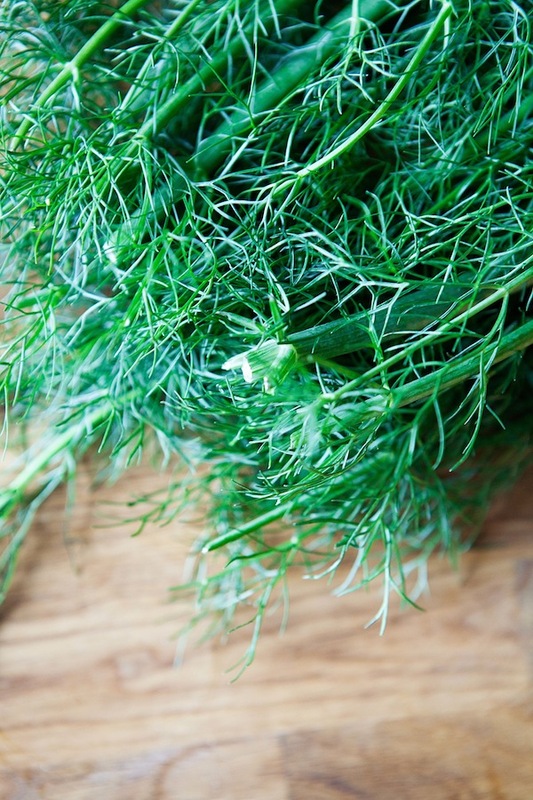 of fennel fronds from the stems, and either discard or save the rest for another use (it makes a good bed for baking a fillet of fish on top of). Halve and cut the core out of the fennel bulb, then slice the fennel extremely thinly with either a mandoline or a very sharp knife. Toss the fennel with the lemon zest, juice, and olive oil, plus a couple pinches of salt and a couple grinds of black pepper. 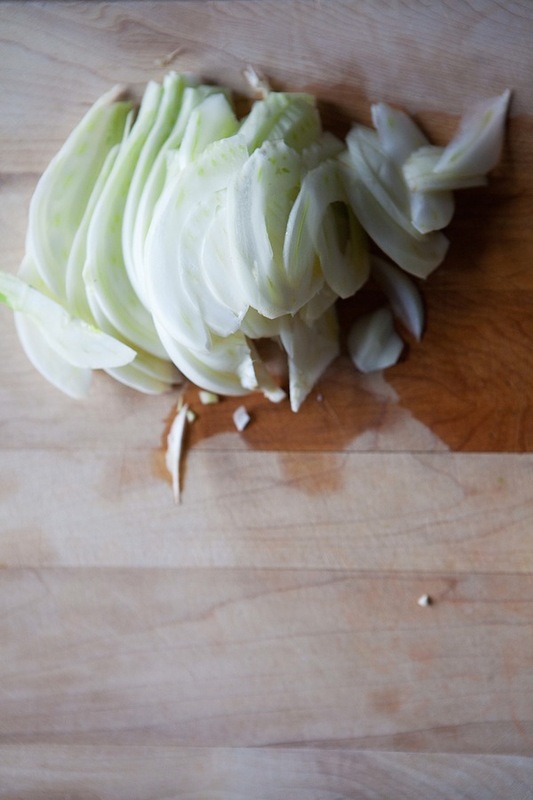 Set the fennel aside to marinate at room temperature for 15-20 minutes. 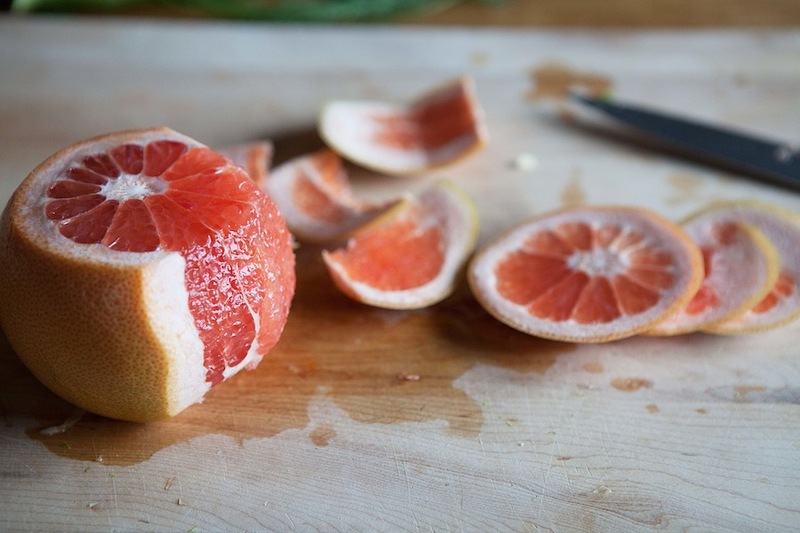 While the fennel is marinating, cut the peel and pith off of the grapefruit and cut between the membranes to remove the segments. 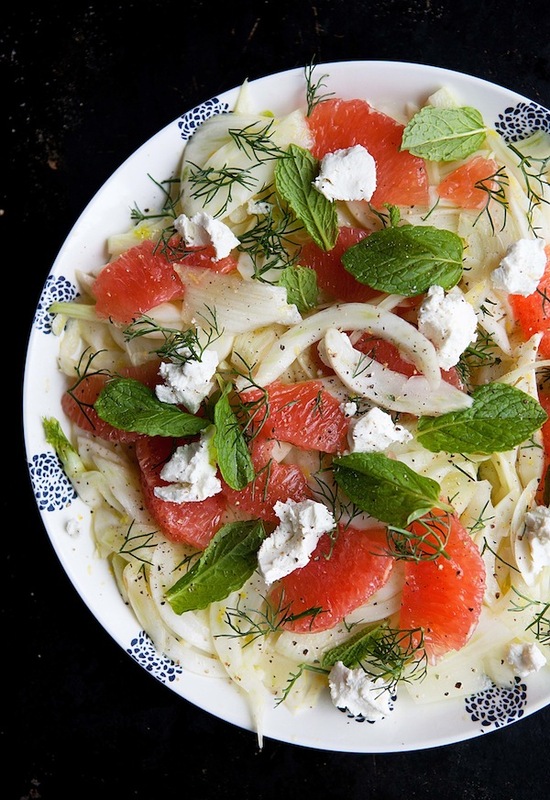 When the fennel is done marinating, toss it gently with the grapefruit segments and spread them out on a serving platter or in a shallow serving bowl. Crumble the goat cheese over the salad, and sprinkle the salad with the mint leaves and the fennel fronds. If you wish, drizzle the salad with a bit more olive oil and additional salt and pepper before serving, and then go ahead and serve. This sounds SO delicious!! I wish it was summer and I was’t out of my mind studying for finals, so I could try making it! I wish it were summer too! Ooh, yeah, if you don’t like licorice flavor or mint then this is definitely not the salad for you! 🙂 I used to hate, hate, hate black licorice flavor, but somehow in the last decade I switched and started to love it. I even like actual strong black licorice! You could make a frisee and grapefruit salad with chevre though, and maybe use a little chopped dill or chives as an herb. That would be tasty too! That’s looks delicious. I’m sure I could bring myself to make it though since my absolute favorite salad ever is the combo of fennel, grapefruit, and avacado. I just don’t know if I could cheat on my avacado with mint and goat cheese… Could I? Should I? You could cheat…OR you could just make a salad that is this salad PLUS avocado. Everyone wins!!! Now you’re talkin! That could be quite awesome. We do a similar salad with fnnl, grapefruit and prawns. That calls for marinating the fennel too which is a great idea! Lovely pictures. Oh, yes. This salad would be fabulous with prawns! It’s also really wonderful with seared scallops, but I’m going to try prawns next. It’s good to hear that I’m not the only one rushing to the store for another fennel bulb every evening. This looks lovely! And, psssh, goat cheese is never incongruous! SO true! Goat cheese is never incongruous! I love fennel! and grapefruit! This looks amazing! Thank you! They’re lovely together. I’ve never tried the fennel and grapefruit combo, but you make it sound so delicious. I finally know what to do when I get fennel in my CSA! This looks so refreshing and I love the texture combination. Perfect for the warmer days ahead! Lucky you having such gorgeous weather! 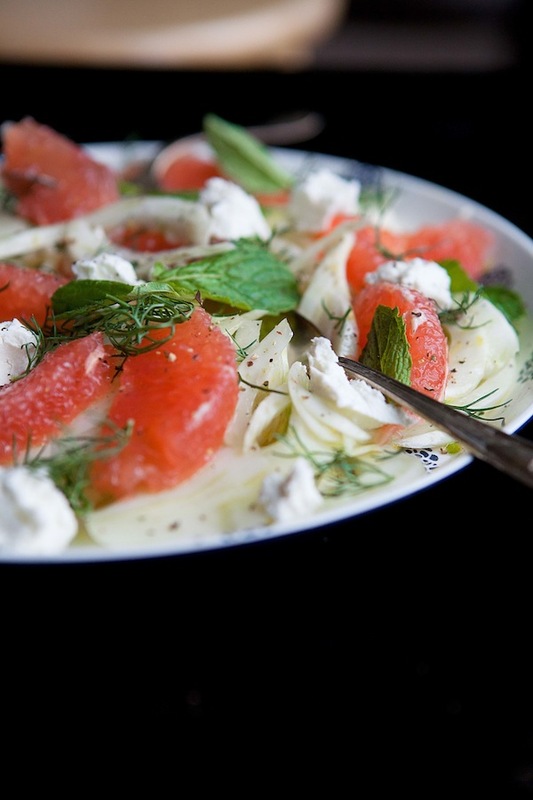 You are currently reading Marinated fennel and grapefruit salad at Five And Spice.